For courses in Corporate, Computer and Network Security . Network Securities Essentials: Applications and Standards introduces students to the critical importance of internet security in our age of universal electronic connectivity. Amidst viruses, hackers, and electronic fraud, organisations and individuals are constantly at risk of having their private information compromised. This creates a heightened need to protect data and resources from disclosure, guarantee their authenticity, and safeguard systems from network-based attacks. 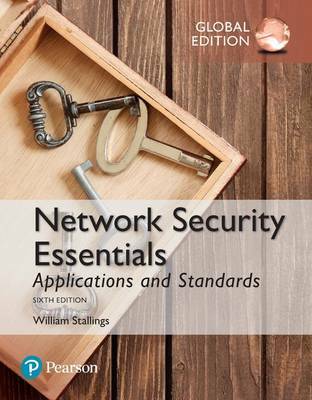 The 6th Edition covers the expanding developments in the cryptography and network security disciplines, giving students a practical survey of applications and standards. The text places emphasis on applications widely used for Internet and corporate networks, as well as extensively deployed internet standards.